In the previous chapter we have learnt about computing the difference between two pointer variables, In this chapter we will be learning how two pointers can be compared ? Two Pointers of different data types can be compared . In the above program we have compared two pointers of different data types. 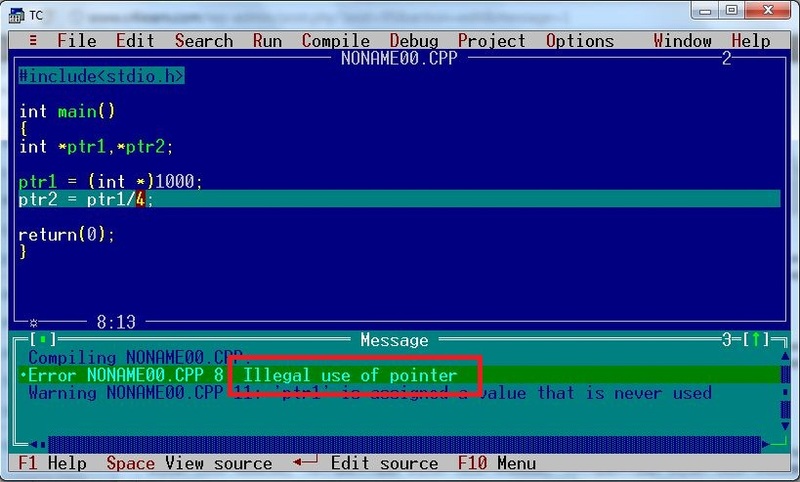 It is perfectly legal in C Programming. In the next chapter we will be learning different invalid or illegal arithmetic operations performed on the pointer.